The Interfaith Center at Truman strives to create an environment where we build cooperation, understanding, and respect for people’s diverse religious and non-religious identities while mutually inspiring relationships between people of different backgrounds. 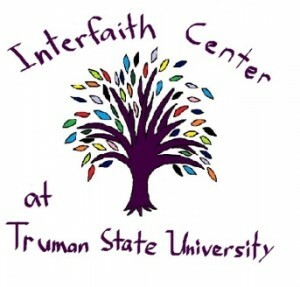 Located in Baldwin Hall 113, the Interfaith Center provides a space for religious organizations, individual students, and faculty to meet, meditate, and practice their ideologies in a safe, open environment. The Center is equipped with tables and chairs allowing for meetings of student religious organizations, lockers for students to place their organization’s supplies, a growing library of texts about spirituality and different faiths and a meditation room that can be used for reflection, meditation or prayer.